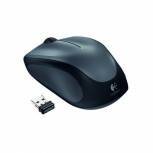 Logitech MK270 Wireless Desktop 920-004523 Pack of 1 Logitech MK270 Wireless Desktop 920-004523. 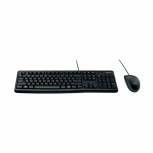 Features a Wireless keyboard and mouse with long battery life and Logitech Advanced 2.4GHz technology. 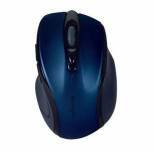 Q-Connect Wireless Optical Mouse KF16196 Pack of 1 Lightweight mouse designed to fit comfortably in your hand. Compact and portable. Suitable for left or right hand use. Optical sensor for accuracy. Scroll wheel acts as third mouse button if required. 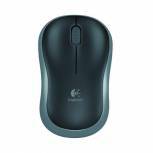 Logitech M185 Wireless Mouse Grey 910-002235 Pack of 1 Reliable Plug-and-Play Wireless Mouse perfect for laptops and netbooks. Features include a nano receiver, one year battery life, advanced 2.4GHz wireless connectivity and contoured design for ease of use. 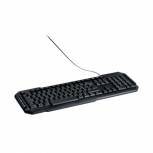 Q-Connect Keyboard Black KF00779 Pack of 1 Q-Connect keyboard with 1.8 metre cable. Gives a comfortable reliable performance and has a tactile feel. Size: 465 x 185 x 30mm. Compatible with Windows 98/2000/XP/MEPS2. USB Connectivity. 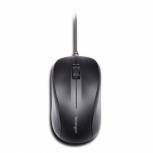 Q-Connect Black Scroll Wheel Mouse KF04368 Pack of 1 Q-Connect 3 button scroll wheel mouse with USB connection. Plug and play. Suitable for right or left hand use. 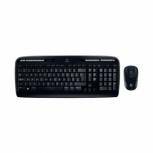 Q-Connect Wireless Keyboard/Mouse Black KF15397 Pack of 1 Economic 2.4GHz wireless combo. Waterproof design. Precision optics. Smart connection. Intelligent power saving mode. 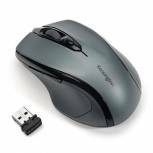 Kensington Pro Fit Mid Size USB Wireless Mouse Grey K72423WW Pack of 1 Contoured buttons and sculpted sides for comfort. 2.4GHz wireless for long range and minimal interference. PC and Mac compatible. 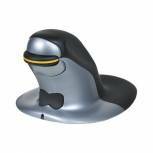 Kensington Black /Grey Mouse-in-a-Box Wired K72356EU Pack of 1 Provides reliable optical mouse performance Straight out of the box. Plug and Play. Continuous ambidextrous design. 180cm USB cable. 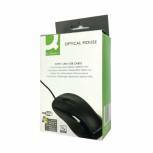 Logitech B100 Optical Mouse USB Black 910-001246 Pack of 1 Logitech B100 optical USB mouse. 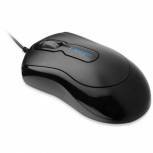 Features precise cursor control with 800 dpi sensitivity, side to side scrolling plus zoom and USB connection. Can be used for left or right hand use. 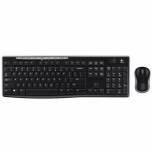 Logitech K120 Business Keyboard Black 920-002524 Pack of 1 Logitech Business Keyboard K120. 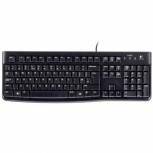 Slim keyboard with quiet, low profile keys, curved space bar and standard layout with full size F keys and number pad. Also features spill resistant design and adjustable tilt legs. Logitech Black MK120 Wired Keyboard and Mouse Set 920-002552 Pack of 1 Brings comfort, style and USB simplicity together. Plug and play. Optical mouse with scroll wheel. Suitable for both right and left hand users. USB connection. 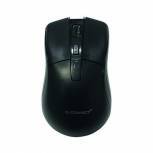 Kensington 3 Button Wired Optical Plug and Play Mouse Black K72110EU Pack of 1 3-Button Wired Mouse. The comfortable contoured shape feels great in either hand. Plug and Play. Clickable scroll wheel. Contoured ambidextrous design. 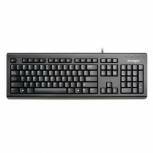 Kensington Wired USB UK Keyboard Black 1500109 Pack of 1 Computer keyboard in a contemporary design leaves plenty of valuable desk space. USB Connectivity. Tactile feedback keys for exceptional comfort. Essential Euro currency symbol. Black. 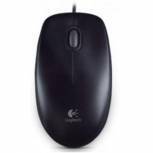 Logitech Wireless Mouse M235 910-002201 Pack of 1 Compact, contoured design with soft rubber grips for increased comfort in use. Wireless connection up to 25 metres. Logitech Advanced Optical Tracking is reliable on a variety of surfaces. 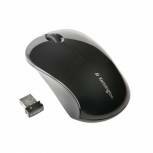 Year long battery life..
Kensington Black ValuMouse Three-Button Wireless Mouse K72392EU Pack of 1 3-Button Wireless Mouse. The comfortable contoured shape feels great in either hand. Plug and Play. Clickable scroll wheel. Contoured ambidextrous design. 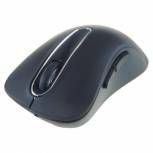 Kensington Pro Fit Mid Size USB Blue Wireless Mouse K72421WW Pack of 1 Contoured buttons and sculpted sides for comfort. 2.4GHz wireless for long range and minimal interference. PC and Mac compatible. Kensington Pro Fit Mid Size USB Wireless Mouse Red K72422WW Pack of 1 Contoured buttons and sculpted sides for comfort. 2.4GHz wireless for long range and minimal interference. PC and Mac compatible.